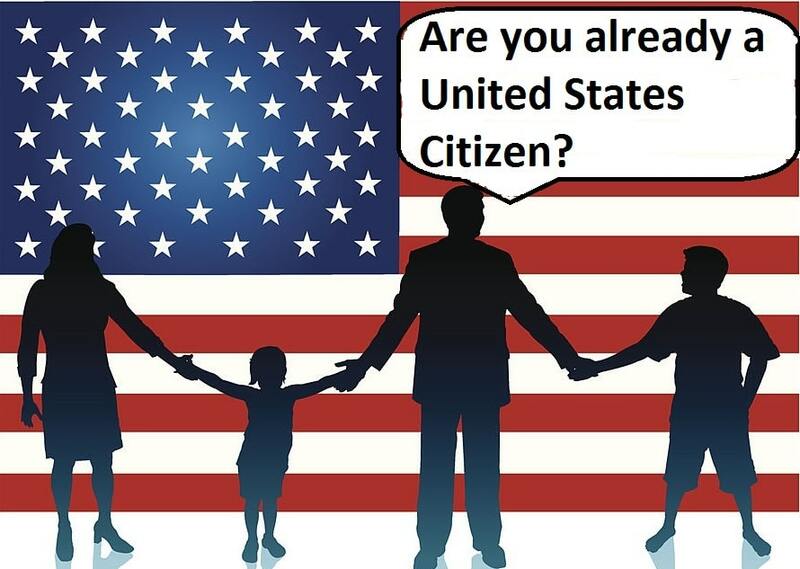 Are You an Immigrant Who is Already a United States Citizen But Don’t Know? The Concepts of Automatic and Derivative Citizenship May Apply to You! There are certain people in the United States and living in other parts of the world who may be United States Citizens, and do not even realize it. I know this concept may seem puzzling but through automatic and derivative citizenship you may already be a United States Citizen! You acquired Citizenship when a parent Naturalized (becomes a United States Citizen). The first concept of being born in the United States or certain incorporated territories can confer what is commonly referred to as birthright citizenship. Birthright citizenship is found on the principle of jus soli, the right that anyone born in the Unites States, or incorporated territories is entitled to have nationality or citizenship. Incorporated territories includes the District of Columbia, Puerto Rico, the Virgin Islands, Guam, American Samoa, Swains Island, the commonwealth of Northern Mariana Islands, and all other territory and waters, continental and insular, subject to the jurisdiction of the United States. Being a child born out of wedlock to a United States Citizen mother. Finally, when a parent naturalizes (becomes a United States Citizen), the child may derive citizenship through their parents. If a parent takes the proper steps to acquire citizenship through naturalization, this citizenship may also be conveyed on you. The law at the time the naturalization took place, along with the age of the person at that time must be examined. There are additional requirements that also must be met before acquisition of United States Citizenship through a parent naturalizing. Of course if you have acquired United States Citizenship through automatic or derivative citizenship you may not have any legal document proving your United States citizenship status. You will have to complete the necessary immigration paperwork, and meet the necessary burdens, to obtain the proper legal documentation. The concept of analyzing whether you have automatic or derivative citizenship can be quite complex. There are additional statutory requirements that must be met such as residence or physical presence of the parents, as well as the law in effect at the time of birth. For these reasons if you find yourself confused by these concepts, please reach out to our office and retain a Shupe Dhawan attorney. If you don’t qualify for automatic or derivative citizenship we can analyze your current status and guide you to reach your immigration dreams. Make an appointment for your legal consultation today. We are happy to answer questions and provide legal assistance. Contact us at 954-507-7220.